Donna M. MacKenzie devotes a majority of her practice to representing individuals injured as a result of neglect and abuse in nursing homes, assisted living facilities and adult foster care homes, as well as medical malpractice. 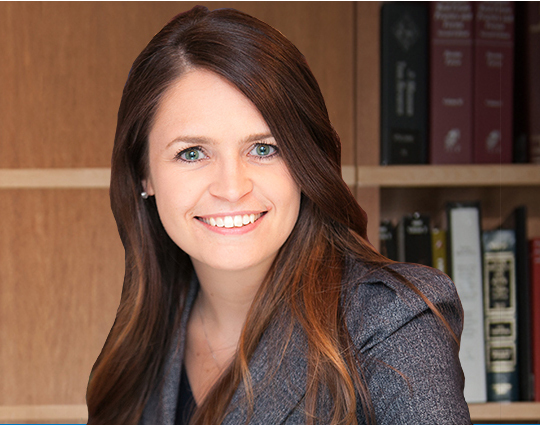 Ms. MacKenzie has received numerous awards and recognition for her work, including being recognized by Crain’s Detroit Business as one of Michigan’s Most Notable Women Lawyers in 2017, being selected to the Michigan Lawyers Weekly Leaders in the Law Class of 2017, receiving the F. Scott Baldwin Award from the American Association for Justice in 2015, being named to the Michigan Top 100 Super Lawyers list from 2015-2017, and being recognized in 2016 and 2018 by Best Lawyers in America as Medical Malpractice “Lawyer of the Year” in Troy. 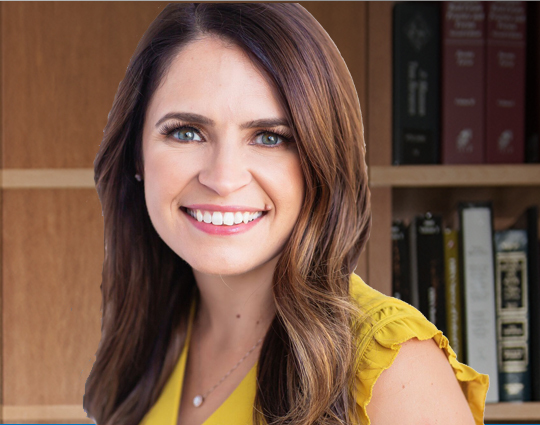 Ms. MacKenzie is also the author of a number of legal articles, and a frequent speaker at seminars presented by the Institute for Continuing Legal Education, State Bar of Michigan, American Association for Justice, and Michigan Association for Justice. Her topics include all aspects of nursing home litigation, as well as the resolution of Medicare liens in personal injury cases. Ms. MacKenzie is also a leader in a number of state and national organizations. She is currently the Secretary of the Michigan Association for Justice, Treasurer for the American Association for Justice Nursing Home Litigation Group, a member of the council of the State Bar of Michigan Negligence Section, and President-Elect of the Women Lawyers Association of Michigan (WLAM). In April 2018, Ms. MacKenzie will be sworn in as the 100th President of WLAM. She also serves as a team co-captain for the annual “Walk to End Alzheimers” and “The Longest Day” events, both of which benefit the Alzheimer’s Society. Ms. MacKenzie has also testified before the legislature a number of times to protect patient’s rights, including testifying against bills that would have given hospitals and physicians complete immunity for negligence that occurs in the Emergency Department. After a loved one has been injured in a nursing home, assisted living facility or adult foster care home, most family members have little to no information about how or why the injury occurred. Unfortunately, a lot of times, the facility will not provide a family with answers to questions and refuses to turn over the incident report. This is understandably frustrating. A significant event like a fall, choking incident or bedsore is a major life changing event, and in some cases, can result in death. This leads most families to feel betrayed because the trust they placed in the nursing home to keep their loved one safe has been broken. The most satisfying things we are able to do for our clients are investigate incidents, find out what happened and provide answers to our clients. Many times, we find that the incident occurred as a result of negligence. Sometimes, however, we find that an incident was not preventable. Through our investigations, we are able to provide answers to our clients either way, which can provide families with comfort. And in those situations where we are able to prove negligence, we can seek justice for the person who has been injured. Residents of nursing homes and long-term care facilities and their families should not have to worry about abuse or neglect, or that sub-standard care will result in injury or death. Our parents in these facilities should be taken care of with the highest possible care, just as they once cared for us. We are proud to advocate on behalf of the elderly and work toward the goal of eliminating nursing home and long-term care facility abuse and neglect. Protecting Medicare's Interest and Your Clients Too: Critical Information for Both Sides of The "V", State Bar of Michigan Negligence Section, Lien Seminar (October 2017). Changes to the Collateral Source Rule: New tort reform law limits recovery of economic losses in medical malpractice cases, Michigan Association for Justice Journal (May 2017). Update on Collateral Source Litigation, Michigan Association for Justice Annual Seminar (May 2017). Deposing Family Members, American Association for Justice, Nursing Home Litigation Group Deposition College, Workshop Leader (March 2017). Finding Golden Nuggets in Unexpected Places-A Review of Physical therapy, Occupational Therapy, Speech Therapy, and Social Work Records and Help to Prove Liability from the Defendants' Own Records, American Association for Justice, Nursing Home Litigation Group Seminar (June 2016). Cross Examination of Defendants' Fact Witnesses-What Moves/What Cools the Jury, American Association for Justice, Nursing Home Litigation Group Seminar (May 2016). Dealing with Medicare and Medicaid Liens in 3rd Party and General Liability Cases, Michigan Association for Justice Annual Seminar (April 2016). Discovering Altered Records and Proving it at Trial, Michigan Association for Justice, Seminar in the Snow (February 2015). A Practice Guide to Depositions in Michigan, Second Edition, Chapter 6, Special Purpose Depositions, Institute of Continuing Legal Education (October 2015). Are You Paying too Much for "Copies" of Electronic Medical Records?, Michigan Association for Justice Medical Malpractice Seminar (July 2014). Are You Paying too Much for "Copies" of Electronic Medical Records?, Belli Seminar (July 2014). Medicare Liens Update, Michigan Association for Justice Rapid Fire Seminar (May 2014). Navigating the Federal Regulations, New Jersey Association for Justice Boardwalk Seminar (May 2014). Impact of Medicare and ERISA on No-Fault Benefits, Institute for Continuing Legal Education No-Fault Seminar (April 2014). Using the Rules of the Road to Depose a Nurse, Michigan Association for Justice Medical Malpractice Seminar (November 2013). 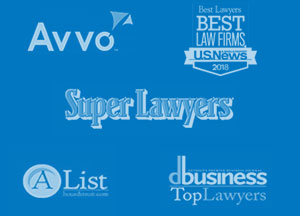 Client Acquisition Through Legal Branding, American Association for Justice Annual Convention (July 2012). Moderator, Schools: Violence, Misconduct and Safety Litigation Group, American Association for Justice Annual Convention (July 2012). A Day in the Life, American Bar Association's Council on Legal Education Opportunity Sophomore Summer Institute (June 2011). Liens-Update, Michigan Association for Justice Rapid Fire Seminar (May 2011). Medicare & Medicaid Liens, Michigan Association for Justice Liens Evening Forum (March 2011). Medicare Update, Institute for Continuing Legal Education No-Fault Seminar (October 2010). Medicare Liens, Michigan Association for Justice No-Fault Institute VII (September 2010). Making the Impossible Medicare Reimbursement Procedures Possible: Finality, Clarity and Security May be on the way for Medicare Beneficiaries, Insurers and the Trust Fund, State Bar of Michigan Negligence Law Section Quarterly (August 2010). A Day in the Life, American Bar Association's Council on Legal Education Opportunity Sophomore Summer Institute (June 2010). Medicare Liens 2010: Information vs Speculation, State Bar of Michigan Negligence Law Section Evening Forum (May 2010). Choosing a Senior Living Facility, Oakland County Bar Association Senior Law Day (May 2010). The Absence of Medicare Set-Asides in Liability Cases, Michigan Association for Justice 65th Annual Rapid Fire Seminar (May 2010). Medicare Liens, Michigan Association for Justice Liens Seminar (March 2010). Medicare Secondary Payer Law, State Bar of Michigan Health Care Law Section Teleconference (January 2010). Thinking INSIDE the Box: Lessons Learned When a Trial Lawyer Serves as a Juror, American Association for Justice Winter 2010 Edition of “The Sidebar” (January 2010). Liens, Michigan Association for Justice Medical Malpractice Seminar (November 2009). Medicare Liens in Personal Injury Litigation: A Comprehensive Review of the Medicare Secondary Payer Statute, The Institute of Continuing Legal Education 2009 No-Fault Update (October 2009). If I Had to Do It Over Again: Starting Out, What We Would Have Done Differently, American Association for Justice Annual Convention Law Student Services Committee (July 2009). New Medicare Mandatory Reporting Requirements: When do you have to notify Medicare and what do you have to reimburse? , Michigan Association for Justice No-Fault Institute VI (June 2009). The Ultimate Medicare Liens Forum for Plaintiff and Defense Counsel, State Bar of Michigan Negligence Law Section Evening Forum (May 2009). Medicare Conditional Payment Liens & Representing Medicare's Interest, Michigan Association for Justice 64th Annual Rapid Fire Seminar (May 2009). Medicare is watching YOU: New mandatory reporting requirements ensure that Medicare will no longer be ignored, State Bar of Michigan Negligence Law Section Quarterly (Spring 2009). Medicare Conditional Payment Liens & Representing Medicare’s Interest, Michigan Association for Justice Liens Evening Forum (March 2009). How to Contact Medicare and Successfully Reduce a Lien, State Bar of Michigan Negligence Law Section Quarterly (Winter 2007). Medicare Liens, Michigan Association for Justice (formerly known as Michigan Trial Lawyers Association) Liens Evening Forum (2005). Do Democracies Die Behind Closed Doors? The Third and Sixth Circuits Split Over the Closure of Removal Hearings, 49 Wayne L. Rev. 813 (2003).